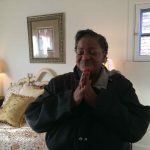 DETROIT — In a matter of weeks, Jesse White Sr. will be moving his family from their one-bedroom apartment into a three-bedroom house with a backyard and trees that are as old as its east side Detroit neighborhood. “This isn’t just a house, it’s a home,” said Chanel Roland-White, Jesse’s wife, who’s pregnant with the couple’s fourth child. 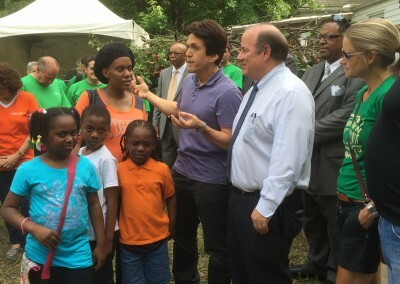 Thursday was a special day for Detroit – and a groundbreaking one at that. 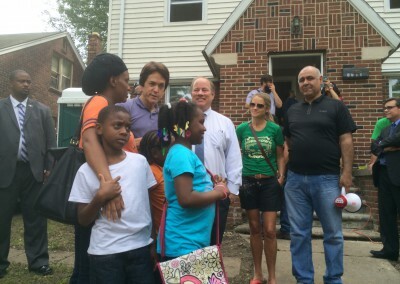 The White family became the first of six to be awarded a home with Working Homes/Working Families, one of the nonprofits under Mitch Albom’s S.A.Y. Detroit’s umbrella of charities. 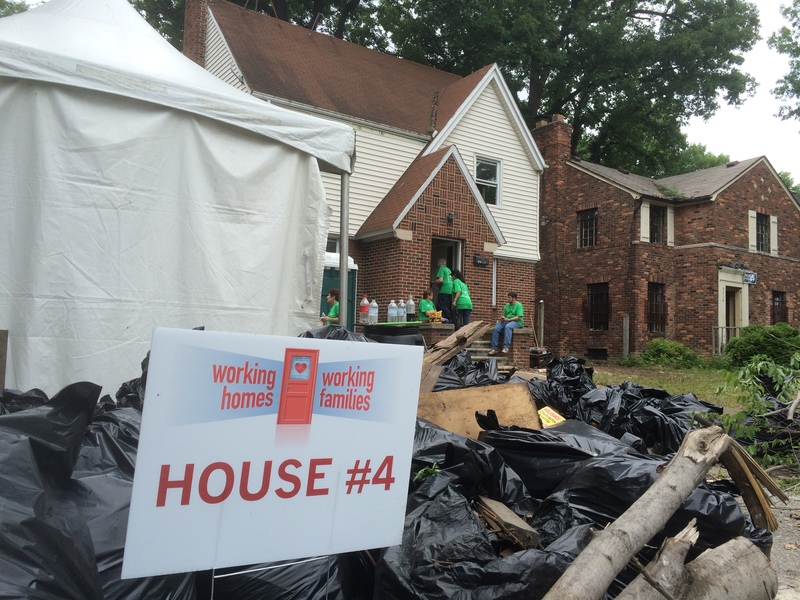 The house giveaway was the highlight of the first of a three-day collaborative effort involving S.AY. 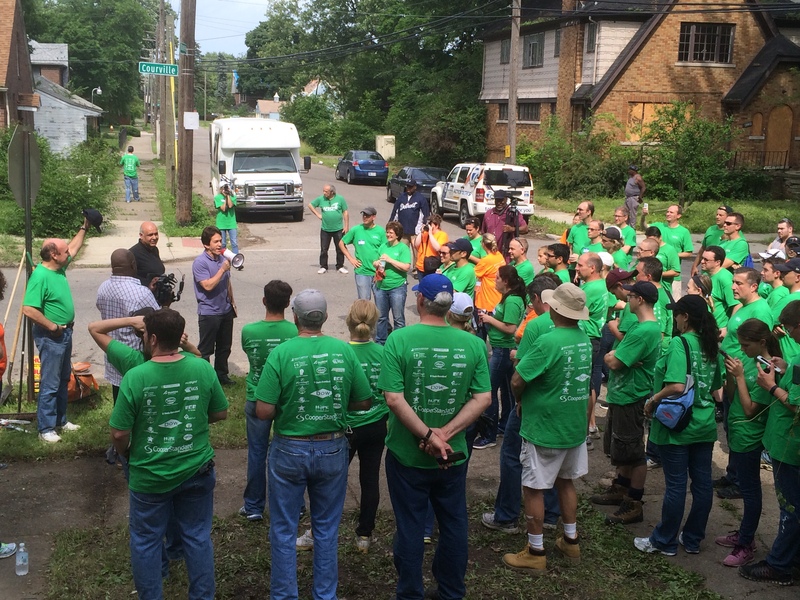 Detroit and the Detroit Rescue Mission Ministries, which teamed up with Cooper Standard Foundation and DOW Elastomers for an intensive rebuild of six homes in an east side neighborhood near Courville and Mack. 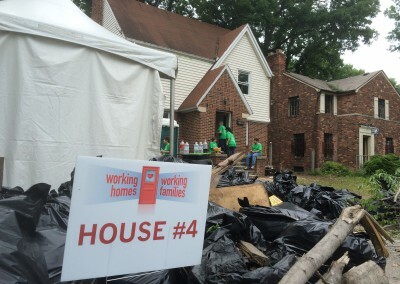 It’s the first time Working Homes/Working Families has partnered with other entities to rebuild homes. 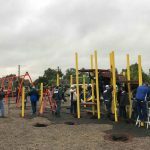 The event – which began Thursday and ends Saturday – includes more than 300 employees from the companies volunteering their time. 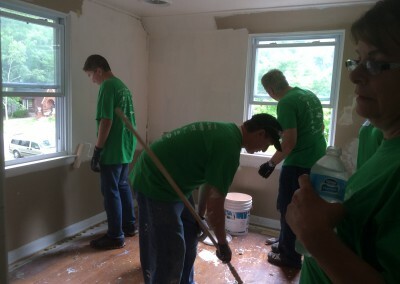 Providing inspiration and guidance for the rebuild is HGTV star Nicole Curtis of “Rehab Addict.’’ Curtis specializes in saving and restoring ramshackle homes and returning them to glory. 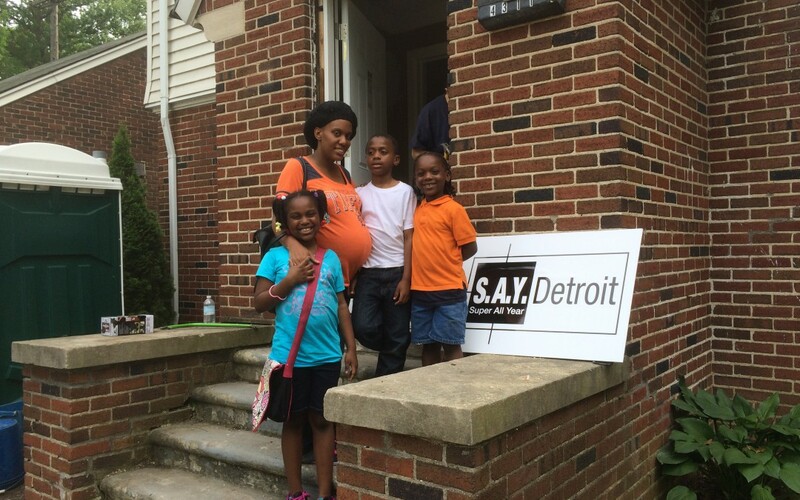 Humble Design – a Detroit-based nonprofit that helps needy families – will provide furnishings and design services for the White family prior to their relocation. Jesse and Chanel – who both have full-time jobs (Jesse wasn’t at Thursday’s giveaway because of a work conflict) – have three children: Anuiya, 8; Jaylen, 7, and Jesse, 6. Their fourth is due any day. 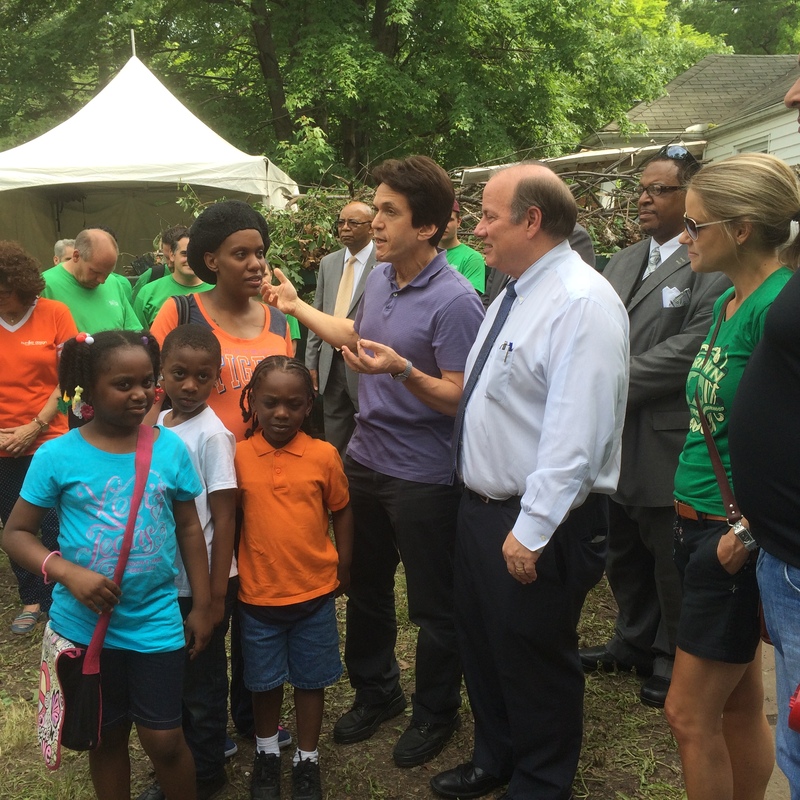 Attending Thursday’s house giveaway was Detroit Mayor Mike Duggan, who revealed a personal connection to the neighborhood. 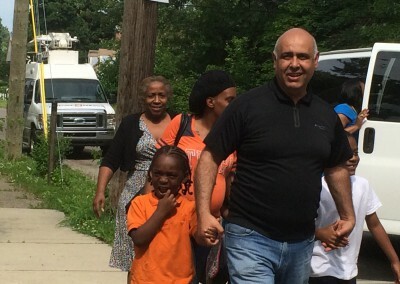 He told Albom and a large crowd gathered in front of the home that for 60 years his grandmother lived just a few blocks away. 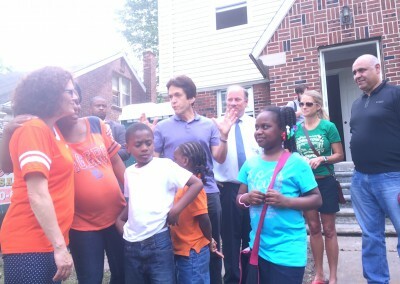 He often visited the neighborhood as a youngster on Sundays and in the summer. Duggan’s support of Working Homes/Working Families has served as a catalyst for bigger and better things for the non-profit: Instead of restoring homes one at a time, Mayor Duggan insisted to Albom that his organization begin building “blocks” of homes in neighborhoods. “We’re going to start by doing it six times, and we’re going to keep on doing it,” Duggan said. 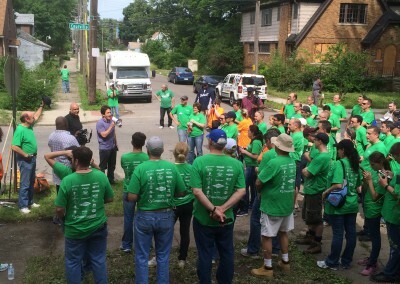 On Thursday, the “Mitch Albom Show” broadcasted live close to the rebuild event, thanks to the generosity of St. Clare of Montefalco School in Grosse Pointe Park, which is serving as the project’s on-site headquarters. 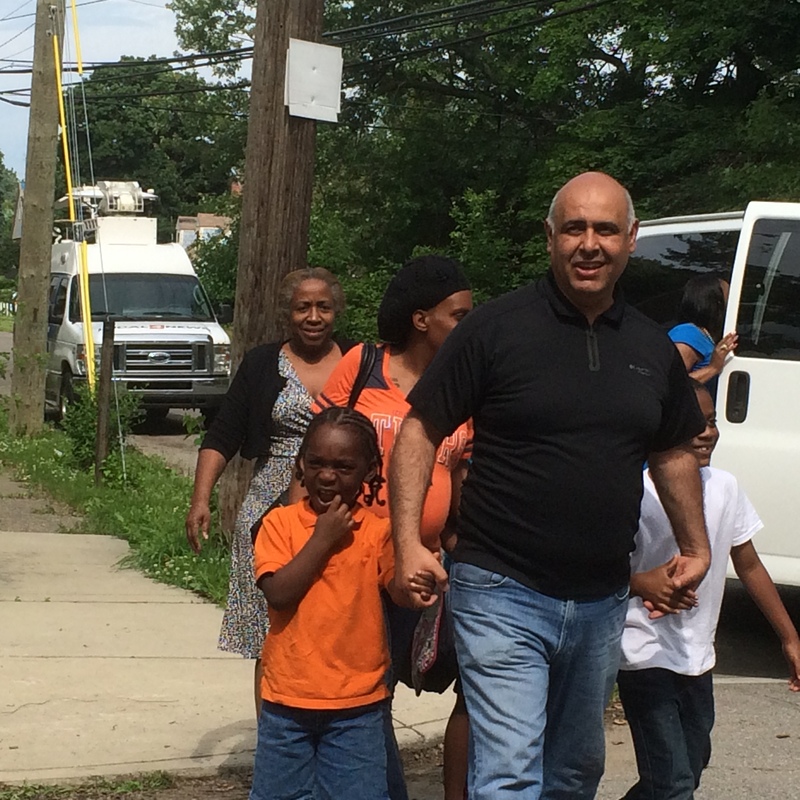 Under the Working Homes/Working Families program, a family must pay only the utilities and taxes. 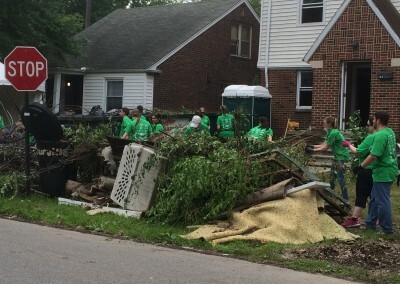 But they also must keep working, and the house must be maintained at the same level it was given. If these requirements are met for two years, then the family may be given ownership.